The traditional black-box router isn’t exactly a looker, which is why it usually gets stashed behind the TV. Or in a fake plant. Or in the bottom of the closet. Hiding it away comes with one major downside: not-so-great WiFi performance. But besides location, there are a number of other factors that may be impacting your connectivity. Here are some tips on to how to optimize your WiFi performance to get faster surfing, streaming and gaming. 1. 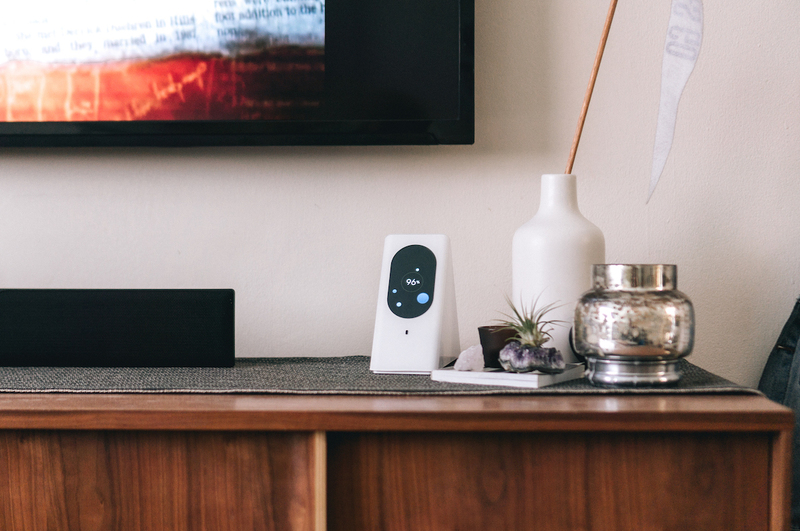 The key to getting great WiFi is choosing the right place to put your router. You want to think about two things: where you’ll use it most and getting the best coverage possible for the rest of your house. The more walls between you and your router, the weaker your signal will be. Hidden away in a closet in a remote part of your home won’t get you the reach you want. A space where you frequently use WiFi is typically much better, like a living room or home office. You’ll probably want to do a bit of experimenting as there are two factors to consider: your home’s construction, and your router’s construction (the pattern or direction your router spits out signal depends on your router’s antenna). Also for some homes, signal will travel better vertically, while in others, it will travel better horizontally. Some routers also have beamforming, which can help cover any dead zones. 2. Try to avoid obstructions. WiFi radio waves can travel through walls and obstructions, but the thickness of the material and construction may pose challenges to signal penetration. Household electronics can also create a problem. For example, microwaves and some cordless phones operate on a 2.4GHz band, which will interfere with your signal. Keeping your router away from these types of electronics will have you on the path to better WiFi. 3. Optimize your band usage. Understanding a little more about your router will help you improve your WiFi. Dual-band routers produce two separate WiFi networks: 2.4GHz and 5GHz. The 2.4GHz band has a lower frequency but penetrates better than 5GHz. 5GHz bands are higher frequency, which give you faster WiFi, but don’t penetrate obstructions as well. If you’re doing a lot of streaming or gaming, you’ll probably want to be on a 5GHz band and make sure your router is obstruction free. Plus, 5GHz is typically less crowded than 2.4GHz, resulting in a stronger signal (especially if your neighbors are using a 2.4GHz router). Your phone and other mobile devices will fare well on a combined network so they can optimize between 2.4GHz and 5GHz based on where you are in your home. Your WiFi signal is impacted by a number of factors (some which you have more control over than others); hopefully these considerations will help get you the speed you need! Stay tuned for more tips and tricks to improve your connected home.